Pharma equipments manufacture and export excellent featured change room accessories with pharmaceutical lab furniture, pharmaceutical machinery mostly using for various pharma plant in pharmaceutical industries. We offer change room accessories that has been specially fabricated to achieve cost effective storage solution that gives high floor space efficiency. 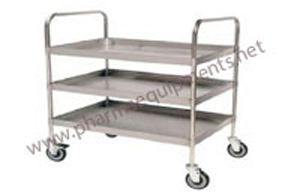 These types of pharma equipments are help to store various stuffs, garments and shoes of employees in lab. 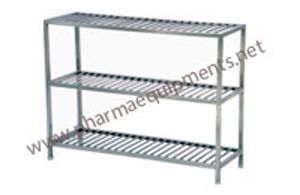 Our company offers an extensive range of change room accessories like ss garment cabinet, mirror with ss frame, ss helmet stand, ss racks, ss used linen trolley (round), ss die punch cabinet, linen storage cabinet, postbox type dustbin, store well cupboard with 4 shelves, apron hanging cabinet with use apron box, apron hanging cabinet to meet specific needs of changing room. We are pioneer manufacturer and supplier of several types of change room accessories especially ss locker for worker, ss locker with u v light, ss lockers 12, 16, & 20, apron cabinet with shoe rack, cross over bench, ss first aid box, ss pass box, ss apron hanging cabinet, ss locker for worker, ss shoe rack, ss tray and ss wash dustbin.